Above: The Croydon tower (left) alongside Crystal Palace as seen from Croydon town centre. THE CROYDON STATION is the site from where Independent Television (ITV) was first transmitted in 1955 and is currently responsible for broadcasting multiple FM and DAB Radio services to Greater London. The station also hosted the transmitters for the London analogue Channel 5 service from the start of broadcasting on 31 March 1997 until Digital Switchover on 18 April 2012. Also the base for Arqiva's London Service Centre, it is located on Beulah Hill in South Norwood, just beyond the western fringe of the Sydenham Hills that provide the grounding for London's UHF main station at nearby Crystal Palace. 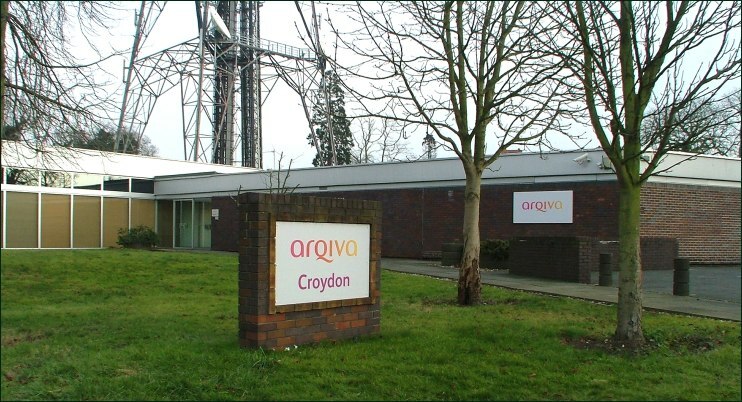 Following the privitisation of the IBA (Independent Broadcasting Authority) transmitter network in 1991, Croydon became the main broadcasting base in Greater London for the first private owner NTL Broadcast and initially their successor Arqiva. 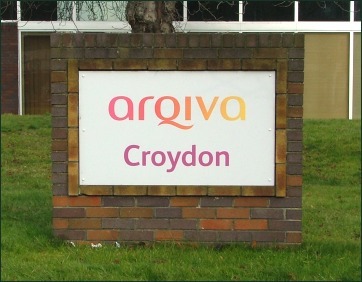 However, when Arqiva subsequently acquired National Grid Wireless (the second post-privitisation operator of the former BBC transmitter network), Croydon lost its status as Arqiva's main London broadcasting base to Crystal Palace. Like Crystal Palace, Croydon utilises a high self-supporting lattice tower with the two respective structures combining to provide a highly visible and unique landmark to a general public who frequently refer to the two towers jointly as 'Crystal Palace'. As a result of this and some local understanding of the station's historic purpose, Croydon is still regularly assumed to be 'ITV Crystal Palace', although the heavy publicity surrounding Digital Switchover in London may have set the public straight on this incorrect assumption. The proximity of the Croydon station to the Crystal Palace transmitter is indeed extreme in comparison to other examples of adjacent siting (the two are barely a mile apart) and relative to this Croydon is somewhat displaced geographically from the busy town centre it is named after. 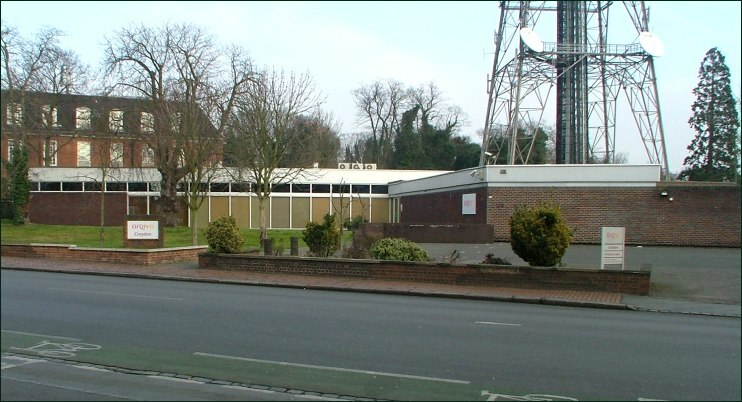 Having acquired UHF capability for the transmission of Channel 5, Croydon was also equipped by Arqiva predecessor NTL to provide emergency cover for their analogue ITV1 and Channel 4 transmitters at Crystal Palace. 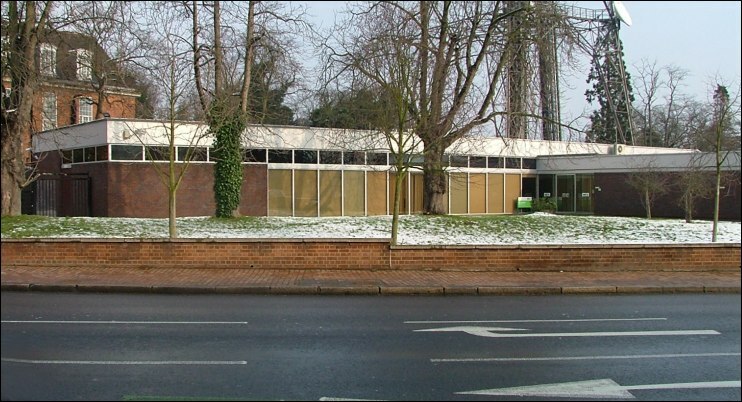 This facility, which is unique to the London-area, has been superceded post-Digital Switchover with the capability to support all the Public Service Broadcast (PSB) multiplexes from Crystal Palace in the event of a major failure at that site. The Croydon station was the first transmission facility to be constructed by the Independent Television Authority (ITA), broadcasting ITV to the London service area using the original monochrome 405-line VHF Band III system. Selecting a site for the station was a choice between the two main areas of high ground within Greater London, Muswell Hill in the north and the Sydenham Hills in the south. 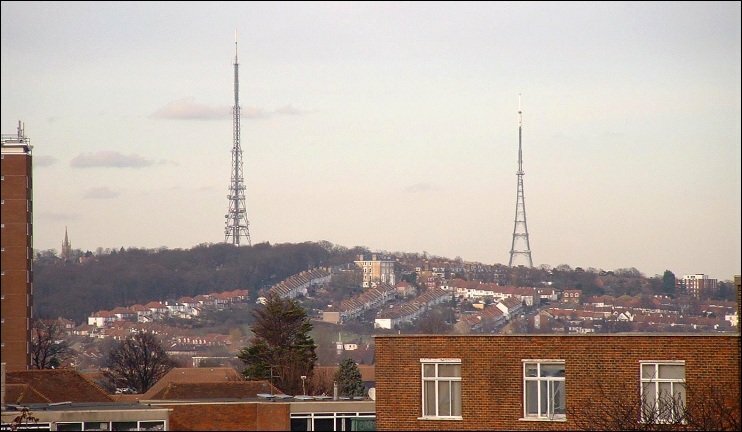 The BBC had utilised the former for their original London television transmitter at Alexandra Palace but were in the process of constructing a replacement on the latter at Crystal Palace. Based on this and government stipulation that ITA transmitters should be sited close to those of the BBC wherever technically possible, the authority chose a site on South Norwood Hill near Crystal Palace. Due to the urban nature of the location, this was a compact site that would not offer the open space available to subsequent countryside-based stations, but would provide sufficient ground to construct a provisional station and transmission tower and eventually an expanded permanent facility. To provide the initial service, a single 10 kilowatt transmitter was installed. This was a laboratory prototype and the first VHF Band III transmitter to be constructed in the country. A 200-ft (61 metre) transmission tower was provided, mounted on which was an experimental 8-stack omnidirectional vertically-polarised aerial capable of delivering a maximum Effective Radiated Power (e.r.p) of 60 kilowatts/15 kilowatts (vision/sound respectively). The station entered service on 22 September 1955, transmitting on VHF Channel 9 and broadcasting the first ever Independent Television programmes to an area with a potential audience of 11 million people. Soon after, a further 10 kilowatt transmitter was installed, initially as a back-up reserve but later calibrated to operate in parallel with the original installation to enable a doubling of the station's power. The opening of Croydon was followed in February 1956 by the second ITA station at Lichfield serving the Midlands. In 1959, the ITA obtained government permission to construct a higher transmitting structure at Croydon in order to provide improved coverage, particularly in out-lying and hill-screened areas. The original 200-ft tower had always been intended as provisional but it's replacement had been deferred whilst the ITA concentrated on rolling out transmitters elsewhere. Like Crystal Palace, the dense urban setting and associated aesthetic issues prevented the use of a stayed-mast for the higher structure at Croydon. However, with less ground available than at Crystal Palace, even a taller free-standing tower needed to be curtailed in comparison to the grand tapering design of the BBC equivalent. The outcome was the construction of a 'slim-line' tower which was visually less commanding but equally elegant in design to the Crystal Palace tower. Built to a height of 500-ft (152 metres), it took second place to Crystal Palace in terms of the highest self-supporting lattice transmitting structure in the country. Mounted at the top of the tower was a new directional aerial capable of delivering a maximum e.r.p of 400 kilowatts, with the highest-powered transmissions at 350 kilowatts directed north-west towards the Chiltern Hills. In other directions, the e.r.p ranged from 50 to 250 kilowatts according to requirements of topography and the need to avoid interfering with co-channel ITA transmitters (in particular Stockland Hill) and those of overseas broadcasters. The new tower became fully operational from 5 December 1962, whilst the original tower was dismantled and later re-erected at the (now defunct) Richmond Hill relay station on the Isle of Man. With London scheduled as the first UHF broadcast area, Croydon was consequently the first to lose the contest between two adjacent stations to transmit UHF under the BBC/ITA agreement to operate these services from a shared site. Lack of space to accommodate UHF transmitter buildings was a primary reason for Croydon being considered inappropriate for this purpose. The Crystal Palace station on the other hand had been designed from the outset to accommodate expansion of services and so it was from there the first ever UHF service commenced in April 1964 with BBC2 transmissions to the London area. In preparation for the start of the London ITV UHF-Colour service from Crystal Palace, Croydon was expanded to house the first ITA Colour Control Room (CCR). This would remotely monitor the ITV UHF-Colour transmitter based at Crystal Palace plus subsequent UHF transmitters in the London area, with engineers checking the quality of both the incoming feed from the studio and the broadcast signal to the viewer. A total of fourteen CCR operations would be rolled out in total by 1971 with at least one in each ITV region (excluding the Channel Islands) monitoring both UHF and VHF transmitters in their respective areas. The Croydon CCR commenced regular operation with the start of the ITV UHF-Colour service on Channel 23 from Crystal Palace on 15 November 1969. Whilst the regional Colour Control Rooms served their purpose well, subsequent advances in technology allowed the Independent Broadcasting Authority (the ITA post-1972) to develop the concept of centralised monitoring centres. From this emerged the Regional Operation Centre (ROC) which, from just four sites respectively located in Southern England, Northern England, Scotland and Wales, ultimately replaced all fourteen Colour Control Rooms. The first of these facilities was built at Croydon with the remit of covering all IBA television transmitters in London, East Anglia, Southern England and the Channel Islands, thereby replacing its own CCR and those based at Chillerton Down, Dover and Mendlesham. In total, the Croydon ROC monitored the service to approximately twenty million viewers from 11 UHF main stations and 5 VHF Band III main stations plus relays. As well as the provision of more sophisticated control room resources, checking the output from transmitters within the expanded catchment area was achieved by mounting special receiving aerials high on the Croydon tower to bring in high-quality signals from mostly unattended stations located up to 80 miles away. The Croydon ROC came into service in 1978 with the three other centres opened by 1981 at Black Hill, Emley Moor and St Hilary (Wales). (Subsequent to the transfer of the IBA transmitter network to NTL Broadcast in 1991, all four centres have since been absorbed into the single operation centre based at Emley Moor). Croydon ceased television transmission itself in January 1985 with the final closure of the 405-line VHF service. For more than a decade thereafter, transmissions from the station were confined to FM radio (See Radio History below). The launch of the fifth terrestrial television service in the UK on 31 March 1997 restored television transmission to Croydon's broadcasting profile after an absence of just over twelve years. Having secured the Channel 5 transmission contract, NTL Broadcast (IBA successor and Arqiva predecessor) decided to utilise their own sites wherever possible, due principally to the fact that the reciprocal site sharing arrangement (as agreed somewhat informally between the BBC and ITA in the 1960s) did not extend to Channel 5. 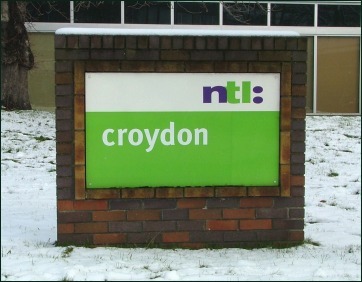 As a result, Croydon was one of a number of former ITA 405-line-only television transmitters required for the new service. Serving the crucial London area, Croydon was to be one of the four 'back-bone' transmitters of the Channel 5 network, providing the high-power transmission for the service by using UHF Channel 37, a former non-broadcast service frequency released by the government for use by the fifth channel. The three other high-power Channel 37 transmitter sites were Emley Moor, Black Hill and Lichfield. These would be followed by a second batch of high-power transmitters using Channel 35 (another former non-broadcast frequency) in August and September 1997. At Croydon, the tower was fitted with a large UHF antenna comprising two consecutively mounted sets of eight-tier multi-panel arrays. This would initially deliver an Effective Radiated Power of 250 kilowatts, later increased to 1000 kilowatts in line with the power capability of Crystal Palace. Transmissions towards the south coast would however remain restricted to 250 kilowatts, thereby preventing signals travelling signficantly beyond the North Downs in Surrey and potentially interfering with overseas stations. Channel 5 transmissions from Croydon ceased upon Stage 2 (DSO2) of Digital Switchover on 18 April 2012 with the service now carried with on the PSB2 (D3&4) Multiplex from Crystal Palace). It was in 1972 that the Sound Broadcasting Act was passed allowing for the extension of commercial broadcasting to radio. This resulted in the Independent Television Authority (ITA) becoming the Independent Broadcasting Authority (IBA) in their expanded remit of regulating and providing transmission for these Independent Local Radio (ILR) services. In accordance with almost everything that had preceded in television, London was the first area to begin commercial radio broadcasting with Croydon the designated FM transmission site. From here the first ILR service, news-based LBC (London Broadcasting Company), commenced transmission on 8 October 1973 and was quickly followed by music-based Capital Radio on 16 October 1973. In the era that followed the closure of the 405-line television service, the expansion of ILR saw further new FM services utilising Croydon for their transmission and although some have since moved to Crystal Palace, the station currently broadcasts six services on FM, including the original two from October 1973. (+) = Reserve provision only as back up for Crystal Palace - e.r.p to be confirmed.